(Long Island, NY) From the producer and writer of “Forks Over Knives”, “PlantPure Nation” tells the story of three people on a quest to spread the message of one of the most important health breakthroughs of all time: the unparalleled health benefits of a plant-based diet. “PlantPure Nation”, co-presented by Huntington-based community group Healthy Planet, screens with author and biochemist Dr. T. Colin Campbell and his son, the film’s director, Nelson Campbell, for discussion, reception and book signing on Monday, May 4 at 7:30 pm in the Let’s Eat: Food on Film series at Cinema Arts Centre. 423 Park Ave., Huntington, NY. 631-423-7611 www.CinemaArtsCentre.org. “PlantPure Nation” poster. Photo Credit: Cinema Arts Centre. Members $12 | Public $17 • Includes reception and book signing. Tickets can be purchased online, www.CinemaArtsCentre.org or at the box office during theater hours. 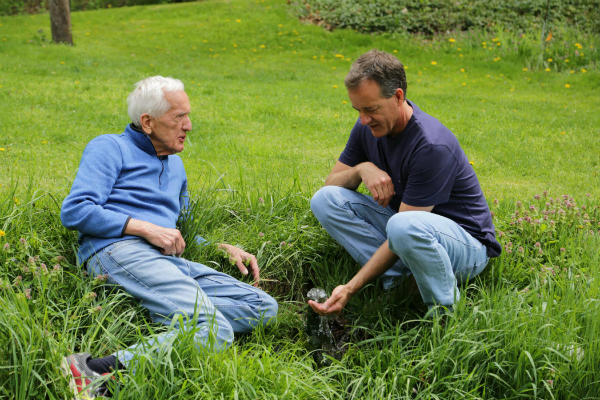 Dr. T. Colin Campbell and his son Nelson. Photo Credit: Cinema Arts Centre. 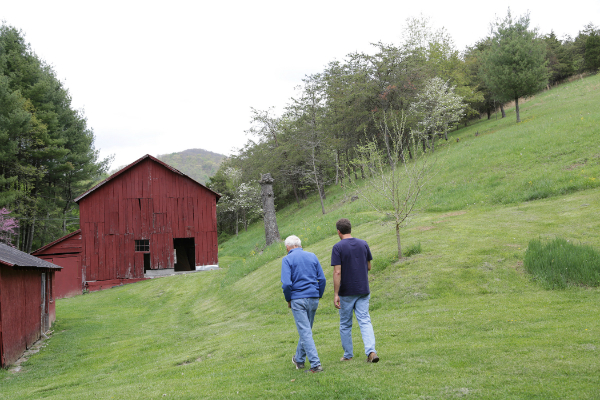 Dr. T. Colin Campbell and his son Nelson on the farm. Photo Credit: Cinema Arts Centre. Dr. T. Colin Campbell is the author of the groundbreaking book, The China Study, and is an American biochemist who specializes in the effect of nutrition on long-term health. The PlantPure Nation Cookbook, the brand-new companion to the film, will be available for sale at the book signing. Since 1973, presenting the best U.S., International, Independent & Repertory films on 3 screens 365 days of the year, in a comfortable ambience including the sculpture garden & The Sky Room Café, the Cinema Arts Centre is located at 423 Park Ave (just south of 25a), Huntington, NY 11743 (25 miles east of New York City). Admission for regular programs: $11.00, $12 after April 1. Discounts for members, seniors, students & children. CAC is a not-for-profit 501(c)3 organization. For further information call 631-423-7610. To sign up for weekly email schedule: info@CinemaArtsCentre.org Membership and Schedule: www.cinemaartscentre.org.